This is why it is so important that your products on eBay are found easily, and even though you might be selling well at the moment things can change quickly on eBay so it is essential that you prepare your product pages to help with your listing on eBay. Product identifiers – Some listings require product identifiers and some are not mandatory on eBay. However, it is a good idea for you to add them to all of your listings so that shoppers off and on eBay can find them easily. Product identifiers include GTINs, MPNs, and Brand and are very helpful for being found on eBay. Categories – It is vital that you place your products under the right categories on eBay, as this is a popular way for people to find things. For example, make sure that you put sunglass cleaning spray under `Sunglasses accessories` and not `Sunglasses`. It is likely that if placed under the wrong category, your product will never be found as people just won`t be looking there. There is also a possibility that you will have problems with shipping globally as there might be certain restrictions for certain categories. 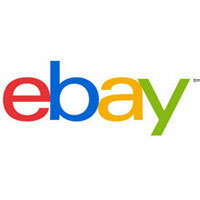 Long Tail Keywords – It is important when you are using keywords on eBay, that you also use long tail keywords. People who search for `size 12 knitted jumpers` are more likely to be ready to buy that someone who is searching for `jumpers`. The keywords that you use can make all the difference in the amount and type of traffic that you get onto your product pages. Pictures – Try to use your quota of 12 photos per product. Photos on eBay can be used to show everything from what the product looks like from every angle, to how it can be used or what you can do with it. Using photos to show off your products will boost your conversion, but make sure that you clip them so that they fit in the frame and that you use high resolution pictures – about 1600 pixels on one side, which allows shoppers to zoom in. Titles – Try to create descriptive and attention grabbing titles to your products without abbreviations and perfect spelling and grammar. In the description should continue with perfect spelling and grammar to give the buyer all the information that they need – including about warranties and shipping information. Seller Standards and Late Delivery – Make sure that you are always up-to-date with eBay`s latest rules about seller standards and metrics for issues such as late delivery. This is in place to encourage a better customer service, so clearly tell people about your returns policy (30 days is recommended), and detail about shipping methods and dispatch times – and make sure that they are realistic – and that you stick to them! The EBay Algorithm – For successful selling on eBay, it is absolutely essential that you understand the eBay search algorithm. You will be ranked higher in the eBay search results if you have your products properly categorised – in categories and sub-categories, with keywords in the title (matching customer searches), good branding, size and colour are also important. Off eBay Search Engines – You should also make sure that your listings are optimised for off eBay search engines such as Google. It is your listing that will appear on Google if someone searches, so it is doubly important that your listings include keywords, avoid eBay jargon and incorrect capitalisation. Whilst it is important to include good descriptions including models, colours and names, don`t stuff it full of keywords as this can work against you in Google listings. Selling products on eBay can be pretty straightforward, but it is important to get the basics right so that get your listing right – meaning that people find you easily and don`t get frustrated. If people find you easily, can easily see descriptions and what options they have in terms of size and colour, and can pay easily, then you are almost guaranteed to have success with your business on eBay. It is recommended that you follow these tips from the beginning – when you first post on eBay, which means that you will have less work to do in the long run. You can then go on to tweak them as you go along. If you have any questions about how to use eBay for your business, improving your listings or need help with your business`s web design and digital marketing, get in touch with Studioworx either via email (info@studioworx.co.uk), telephone +44 (0)1482 659362 or the website (https://www.studioworx.co.uk).